Tesla Motors CEO: Most of us have to sit in traffic everyday of our life. Most of us realize this is never going to change. And none of us are Tesla Motors Inc (NASDAQ:TSLA) CEO Elon Musk. When a guy like this sees a problem, he doesn’t just sit around. Instead, he goes out and finds a solution. Of course, the fact that Musk is the guy in charge at Tesla has a little something to do with this. Not only does he have the power to get things done the way he wants, but there is one other driving force behind him: money. If you have ever spent anytime driving in Los Angeles, even if only for a day, you know that the traffic is just about as bad as it gets. In fact, according to a study by Inrix, Los Angeles once again took home the honor of having the worst traffic in the United States. And that is saying a lot, since many other big cities suffer from the same issue. However, it appears that Tesla Motors Inc (NASDAQ:TSLA) CEO Elon Musk has had just about as much as he is going to take. Instead of sitting in traffic, he wants to do something about it. And he is willing to throw his money around to make it happen. Musk expresses the same sentiment as many other drivers in LA. The only difference is that he may actually be able to do something about it. His main beef is the fact that the 405 Freeway widening project is taking too long. To date, the Tesla Motors Inc (NASDAQ:TSLA) CEO has donated $50,000 to the project. While this may sound like a lot of money, and it is for most of us, it is chump change to Musk. It is also chump change when compared to the overall cost of the project, which has hit the $1 billion mark. While Tesla’s Musk is tired of sitting in traffic, when he is on the roads of Los Angeles he is just like everybody else. Sure, he may be cruising in one of the most expensive cars on the road, but when it comes to the 405 Freeway he is just another driver. 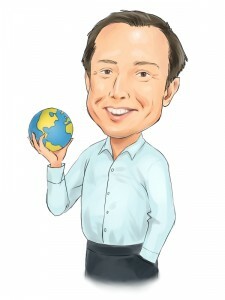 Do you think the Tesla Motors Inc (NASDAQ:TSLA) CEO will have the chance to speed things up by donating more cash?